On the North side of Cahuenga Pass in the San Fernando Valley lies the city of North Hollywood considered by some to be birthplace of California statehood. In 1847 the warring US and Mexican armies signed a treaty at Campo Cahuenga that ended fighting between the two countries in California. In 1869 a businessman from San Francisco named Isaac Lankershim purchased a 60,000 acre parcel north of Los Angeles for $115,000. This land was basically the Southern half of the San Fernando Valley and included what is today Tarzana, Encino, Woodland Hills, Sherman Oaks, Van Nuys and North Hollywood. Lankershim was a shrewd farmer and rancher who profited from his adaptability at growing different crops depending on market prices. When wool became expensive he converted the farm to ranches and had 40,000+ head of sheep. Later the price of wool fell but the price of wheat boomed so he converted the ranch back to a wheat farm in short time. 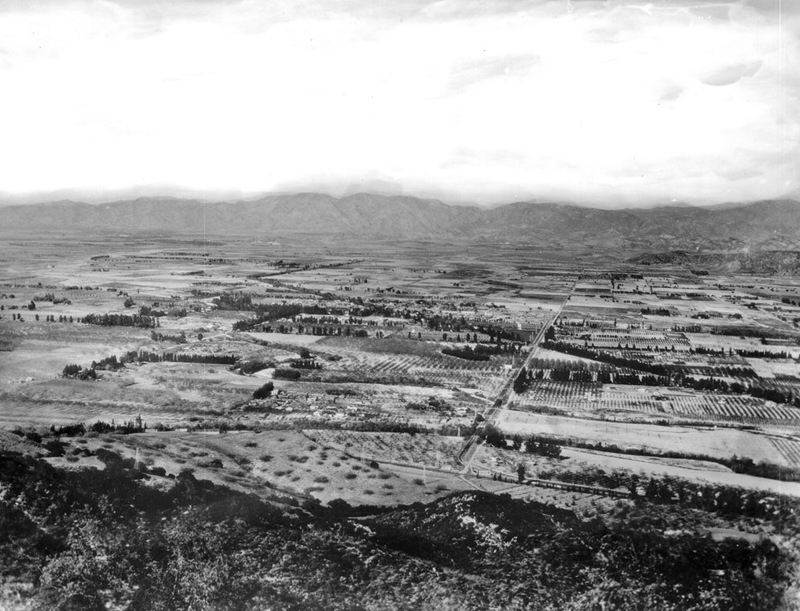 In 1887 Lankershim and his son-in-law, Isaac Newton Van Nuys, organized the 12,000 acre “Lankershim Ranch Land and Water Company” real estate development. They sold off small farm plots many with trees already planted. These plots got irrigation from the Tujunga wash so they could withstand the hot dry summers in the San Fernando Valley. The new town was called “Lankershim”. 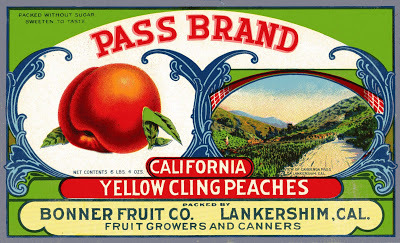 It boomed with agriculture and by the 20th century the area was known as “Home of the Peach” and was canning millions of pounds of peaches and other fruits annually. During drought years of the late 1910s the farmers tried to buy water rights from the Los Angeles River but were edged out by real estate developers from the city who wanted to build housing tracts on their farmland. The story of real estate developers clashing with farmers over land and water rights was the theme of the classic Jack Nicholson movie Chinatown. 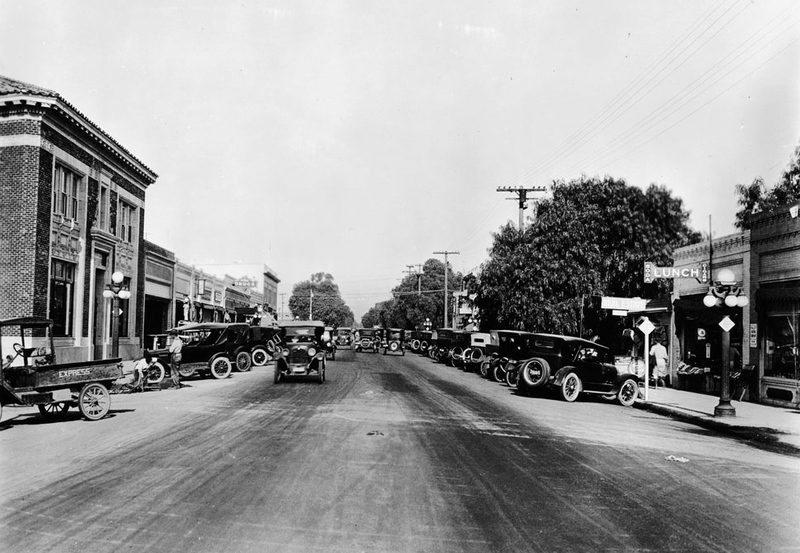 Eventually the big money developers won and Lankershim was annexed by the city of Los Angeles in 1923. In 1927 the name was changed to North Hollywood in an attempt to capitalize on the glamour of neighboring Hollywood and draw more people to its suburban developments. 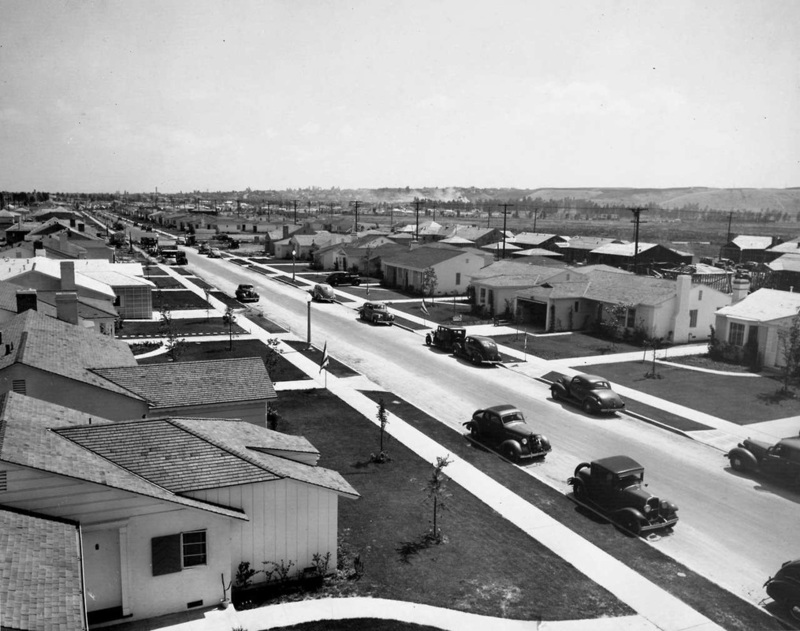 Housing tracts were built and the Los Angeles suburbs grew into the San Fernando Valley. North Hollywood became a popular location for recording studios starting in the 1950s and some of the most famous records of all time were made in North Hollywood including Fleetwood Mac "Rumors", Metallica "Black Album", and Nirvana "Nevermind". North Hollywood has an arts district referred to as "Noho" that runs along Lankershim street between Burbank and Riverside. This area has numerous playhouses, coffee shops and boutiques and is one of the rare pedestrian friendly areas of Los Angeles. In 1995 the LA Metro red line built a subway stop in the Noho Arts District which cleared the path for big development in the 21st century. Today the Noho Arts District has thousands of modern, high rise loft apartment units, dozens of hip bars, restaurants and nightlife and continues to build. North Hollywood has many new condo units for sale along with many older tract houses. The area is home to one of the two LAUSD highly gifted magnet schools and has several other distinguished schools within it's borders. It is an exciting place to be and will continue to grow and flourish.